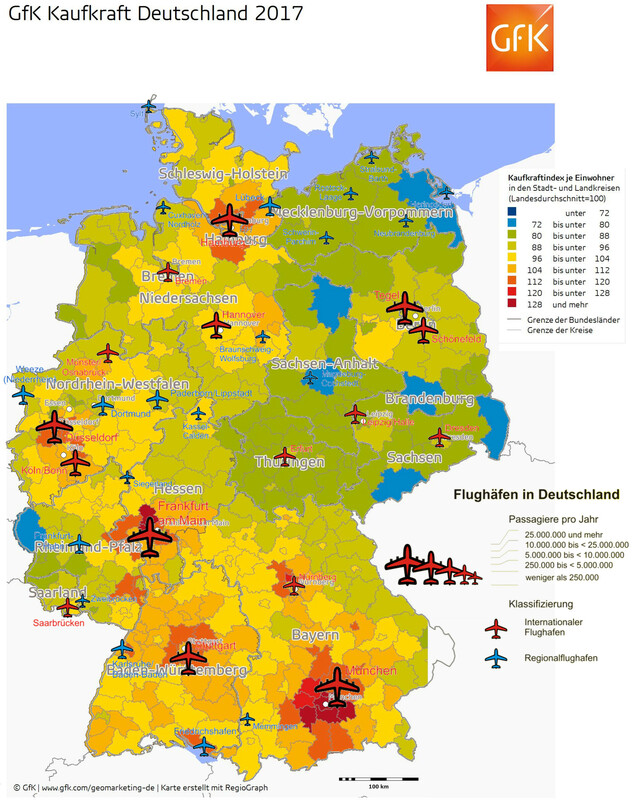 As many of the readers of this blog know, I am somewhat personally attached to that little airport in Central Germany, Erfurt-Weimar. Last week I was taken into a discussion by Thuringia’s Minister President Bodo Ramelow, about how to stop the down-spiral of emigrating Thuringians. 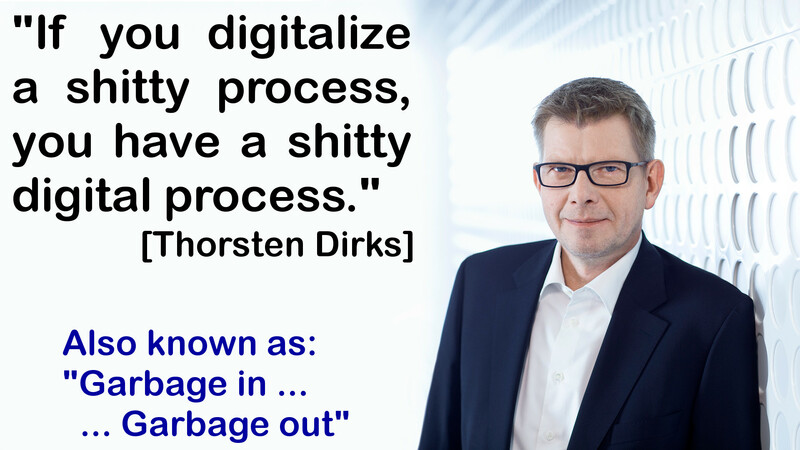 Which reminded me about the likewise discussion we had in 2009 shortly before I joined Erfurt Airport with the task to stop their downward-spiral on their passengers. What I was faced with was an extremely negative image of the airport within the region. And a lot of demands on how to do business from amateurs in the industry, politicians, tourist offices, etc. First day at work, the GM of Tourism Thuringia, Bärbel Grönegres was quoted in the local newspaper (TA, 02Mar09), having visited the United Arab Emirates to promote medical tourism to Thuringia. Having a Munich-Erfurt flight by Lufthansa-Partner Cirrus Airlines at the time, she recommended the Arabs to take a flight to Frankfurt, to be picked up with a bus for a +3 hour tour to Thuringia. Tourism material did not contain reference to the airport. Questioned about the reason, her reply was “Who knows, how much longer we will have that flight”. Ever since, that became a prime example I use for “negative thinking” or “calling for disaster”. 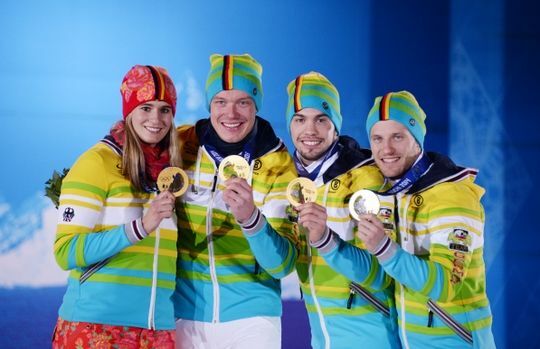 The next winter, the Thuringian Olympic athletes brought home a record number of medals. But at the following ITB, it was more important to promote Franz Liszt, who lived a dozen years in Weimar. The fact that the Russian-Orthodox chapel, Grand Dutchess Maria Pavlovna who’s invitation brought him to Weimar has built and got buried in is under direct protectorate of the Russion Orthodox “pope”, the Patriarch, such making it a pilgrimage site for the Russian Orthodox church has completely failed to trigger any support by Weimar or Thuringia Tourism. Air Berlin reported it to be a “known reason” for a substantial part of their Russian Berlin-passengers to add Weimar to their travel plans. 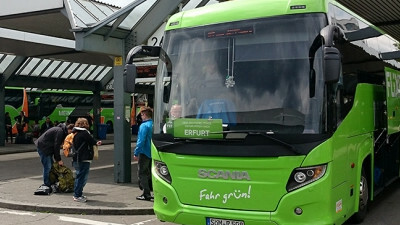 In order to promote the government-funded route, after fierce discussions, Cirrus Airlines agreed to offer a low-cost ticket at 99€ return, having only about 6€ after the high taxes on the ticket. That offer was made available especially to the Thuringian government offices and the state development agency (LEG). Nevertheless, LEG planned and executed delegations traveling with the train to Berlin to take flights from Berlin, instead of promoting the route. The same also for the ministries and ministers. Even the responsible minister taking flights from Frankfurt and Munich instead of using the PSO-route he signed responsible for. During the months we’ve actively promoted that 99€-fare also to the industry and the travel agencies and also had it largely available, not one of the flights used up the 99€ tickets allocated to them. Being at the verge of a bankruptcy, Cirrus Airlines finally ceased to operate that route in December 2010. By the time, working with the local industry associations, political parties I have been able to increase the passenger numbers by about 20 percent. In fact, to date, the airport is far from the 320 thousand passengers I left them with. With Weimar being the neighboring but historically better known city internationally, I pushed forward the renaming to Erfurt-Weimar with the attempt to improve the incoming for the airport. Paid almost completely from the limited marketing budget. A strategic decision executed after our parting-of-ways in December 2010 after my two-year contract was not extended in the wake of the retreat of Cirrus Airlines. A strategic decision though made obsolete by the “political” decision by traffic minister Christian Carius to not replace the route as I recommended with an Amsterdam-service. Sad decision indeed, as with our parting ways, the discussions with KLM were simply discontinued (KLM calling my number reached someone speaking German only, I was gone) and despite their interest in a PSO (public service obligation) financial route support, we had discussed flights based on mere startup incentives and marketing support. Opposing myself ongoing subsidies, to demand a route but to leave the (substantial) risk completely with the airline is neither the answer. Whereas comparing the CheckIn.com-data about airport catchment areas with the data provided by airports we found that data to be completely off-set in a majority of cases. It caused us to make basic data available for free. But if the data provided by the airport is not hard, but guesstimates or outright lies, when the airline starts a flight based on that data, the airline takes the risk. To not only does the airport sneak out of the responsibility, they increase the airlines’ risk – is that a game? Or serious business? Fraport Bulgaria’s more than doubled “population within two hours” can not result from the “drive time off-sets implied by Fraport Bulgaria investigating the discrepancy. Now since I started in aviation 30 years ago, the market has drastically changed. In the good old days, there were (often highly subsidized) “national airlines”, used to promote the country. 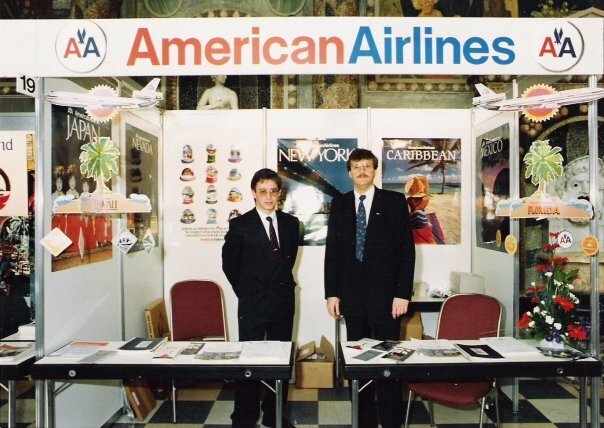 Back in my early days, the airlines were the executive for the tourist offices and also worked closely with commercial development agencies. But ever since, those national airlines have either adapted or went out of business. 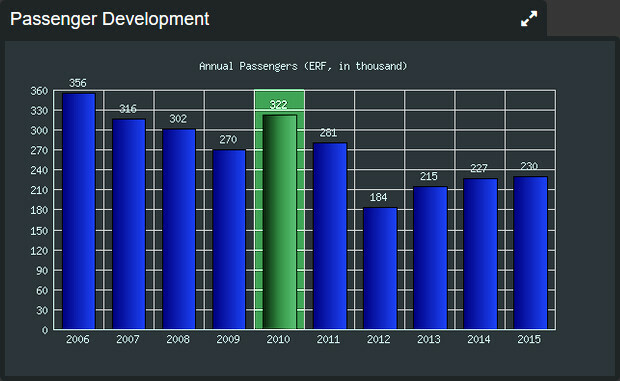 The emerging “low cost” airlines virtually evaporated the income of the airlines, competition becoming fierce. As I keep emphasizing with my updated image of Purchasing Power and Airports, there is a relation between a strong airport and the regional purchasing power. It is indeed a hen/egg issue, but if you are a small airport in a weak region, maybe it makes sense to consider how to attract travel (tourism, commerce) to your region. Not how to drain your region of the money by sending the population to the Mediterranean for vacation, but by having incoming, scheduled services, by adding point-to-point routes and to attract low cost airlines. If we do not talk about PSO (Public Service Obligation) where the government pays for basic flight services, if you build an airport and wait for airlines to find you, keep on sleeping (and burning money). So if you are a small airport and you have little to no money, what can you do? Having an airport is not enough any more. 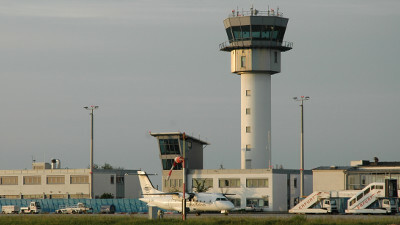 The airport is part of the region’s infrastructure. As such, it needs to be integrated into a political and commercial strategy. Whereas in the example of Erfurt-Weimar, the airport is being kept as a scapegoat, being challenged in one sentence for the aviation noise (a good joke with so few flights) and for not having flights. A political punch-ball. 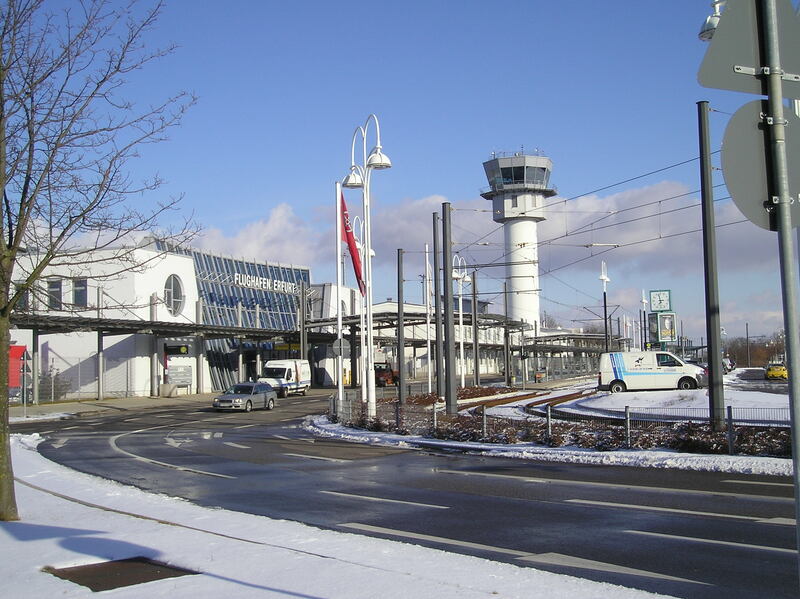 Other, successful airports like Memmingen in Southern Germany are integrated into and understood as a strategic value for the regional development. In fact, Memmingen is not politico-owned but owned by more than 60 co-owners from the region’s industry. Such, instead of being a scapegoat for political power games, everyone in the region understands the need to actively support the airport. Anyone harassing the airport confronts everyone in the region. A political suicide! At Erfurt, I was asked to establish flights to Moscow. One company. 10 employees. Even with a small (expensive) 50-seat aircraft and weekly flights only (which are usually not sufficient for commercial demand), we talk about 40 seats by 52 weeks in two directions or 4.160 tickets to sell every year. But for a decent offer that is useful to the industry, you need at least twice weekly flights. 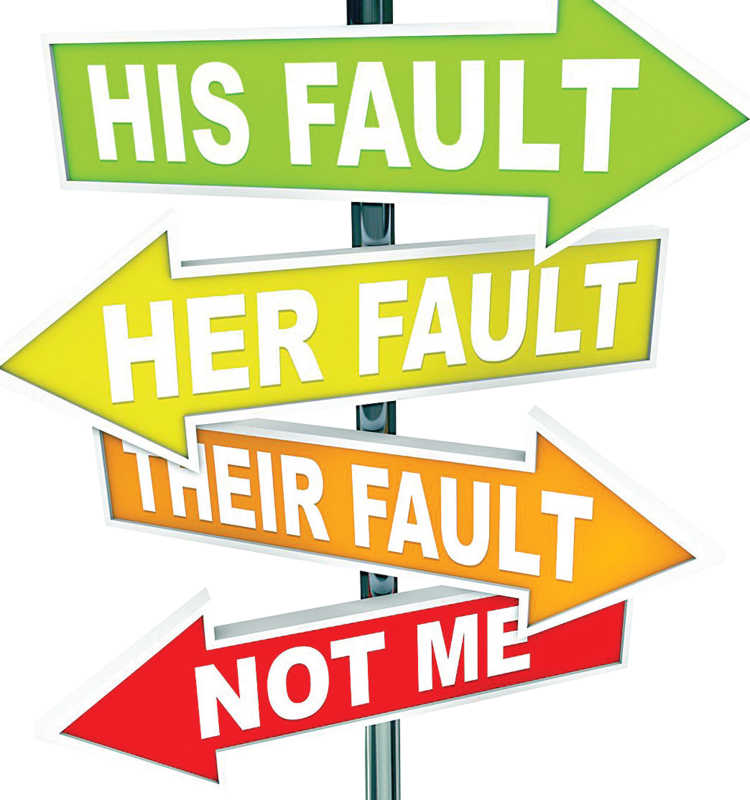 Leaving that task to attract airlines to the airport alone, at the same time running blame games and scapegoating, the airport cannot justify such flight. But what if the state development agency and the chambers of commerce, on demand by the political PTBs (powers-that-be) qualify the demand from all those small and midsized companies? Not on a low-cost, but with reasonable ticket prices. Not at prime time at the maximum risk for the airline. Maybe instead of a weekly, can the region sustain a double or even triple-weekly flight making it interesting for the companies in the region? Are those companies willing to support the launch period by committing to use the flight, even if slightly more expensive than a flight from Frankfurt or Berlin? Keep in mind, the people have to get there, you also pay for gasoline/parking or rail. Transport to those hubs is not free either. And the longer check-in times make them even less attractive, right? Interesting approach. I’ve talked to several smaller airports where they agreed that their chamber of commerce and regional development agencies “pre-purchased” tickets at the cost of the average ticket price needed to cover the operational cost. Then they to sell it to their members. Not covering the full cost of operations, but simply taking their share of the risk! Why should they not, if they believe in the numbers and data they provide to the airline to promote their business case? Then talk about Tourism. Given such flight, are the local tourism PTBs ready to promote such flight in the outlying region? What about other promotion? Don’t leave it to the airport! Is there a joint concept by the political PTBs, the state development and commerce PTBs, the tourism PTBs on what flight they want, how they will promote the flights? “We have an airport”. That’s nice. But not enough. And for a Minister President even only on a state level? You better think about a strategy. Or close down the airport. Having flight to summer vacation is not enough. It drains money from your region into those destinations. What’s in it for you? Why do you fund an airport? No scheduled services? No incoming? Do your homework. It’s no longer the job of the airline to promote your region! They simply don’t have the funds to do that. It’s not their business case. It is the job of the political, commercial and tourism PTBs to qualify what they finance an airport for and come up with ideas and business cases for airlines to take the risk to fly there. And no, a “business case” is not necessarily paying subsidies. If you have a good business case that the airline will make money on the route by flying paying passengers, I can rest assure you that the airline will prefer that over subsidies that are usually associated to political nightmares. Compiling sound numbers is a good start… And yeah, I might be willing to help you with that.